I picked this sucker up on eBay for practically nothing the other day. This is the original HBO/Cannon Video VHS release of the original 1986 film. This is how I was first introduced to the Highlander film series. 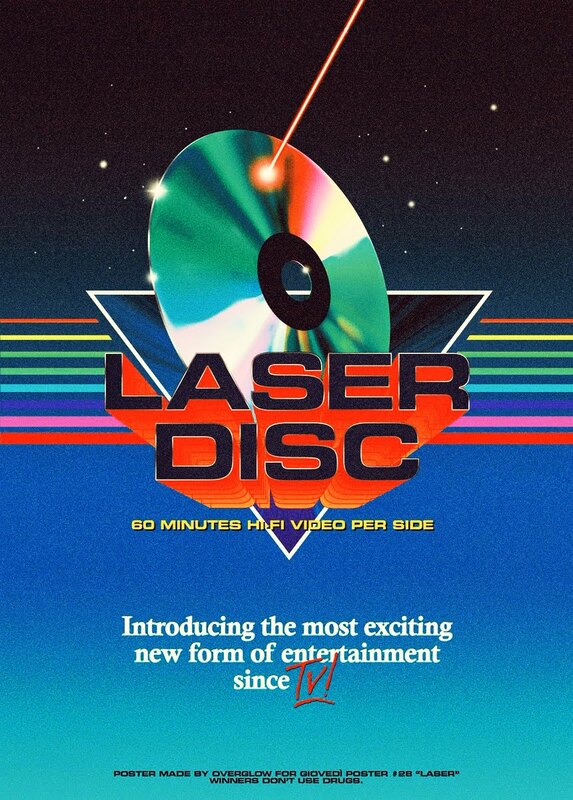 I rented this very version from my local video store quite often back in the 80's and this image always stuck with me. It's not a perfect film, but it's definitely one of my favorites and one I will be reviewing soon here on robotGEEK'S Cult Cinema. 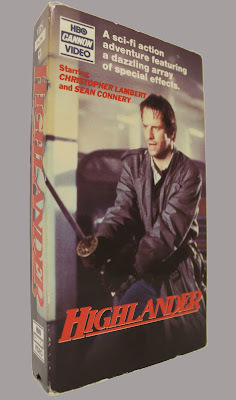 I always liked this cover art of Highlander as opposed to the other cover they used for the subsequent VHS re-releases. You know, the one where he's standing on the side of a mountain in his Scottish kilt holding that big sword with his long hair and all. I never liked that one because I didn't feel it properly portrayed the film as a whole. That's not the image of Highlander we all have when we think of this film. It's this cover here where he's fighting in modern day New York. Well, modern day in 1986 anyway. Cannon Films often released there films in the "Big Box" VHS packaging in the 1980's, but to my knowledge this never got that treatment. But that would have been sweet! I know this first VHS release of the film doesn't do the film justice as, if I remember correctly, it suffers from severe cropping, blurry image and muddled sound. But it'll be fun to watch it like this again just for the pure nostalgia factor. I've been looking for a way to get this, since the only version available seems to be the director's cut, and I found your site. Thank you. I think the theatrical is much better...the Scotland scene is a surprise as the camera floats through the roof, rather than us being shown flashbacks of the battle at the wrestling match and giving it away. Anyway, I'm headed to eBay; thanks, dude! Hello, i stumbled onto your blog because i was searching for some info about HBO/Cannon video. Anyways, i read your article about the HBO/Cannon release on vhs and you mentioned you did not know of a big box release for this title through this distributor. I actually have a vhs collection that includes this particular edition. I picked it up about a year ago when i first started to collect, the only other HBO/Cannon vhs i own is "Amadeus", is is also in the big box. I share your enthusiasm for their packaging as well, they are probably the most pristine condition vhs's in my collection. My email is connielukens@gmail.com, if you want more info about it, i can send you pictures too. are you sure that it the original cover as i remember the original cover being the same as the movie poster showing the Kurgan?